Enamelware requires different handling than cast iron or stainless steel cookware. It is made by coating cast iron or steel cookware with a layer of enamel. This layer prevents rust and it helps evenly distribute heat throughout the surface of the enamelware. Enamelware is also resistant to acidic foods, which means that you can marinate meats or cook tomatoes in them, unlike some cast iron cookware. If you haven't used your enamelware yet, wash and dry it before the first use to remove any factory coatings. Do not cook with enamelware on outdoor grills, over campfires or in microwaves, as these methods may damage the enamel coating. Aside from these surfaces, you can use your enamelware to cook on any stovetop, in the oven and under the broiler. When moving enamelware, always lift it rather than sliding it to keep from scratching or chipping the bottom of the cookware. 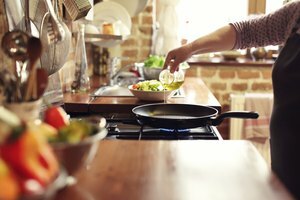 To prevent damage to your cookware, use plastic or wooden utensils -- metal utensils could cause chips or cracks. If your enamelware does chip, keep the exposed metal coated in a thin layer of oil during storage to prevent rust. 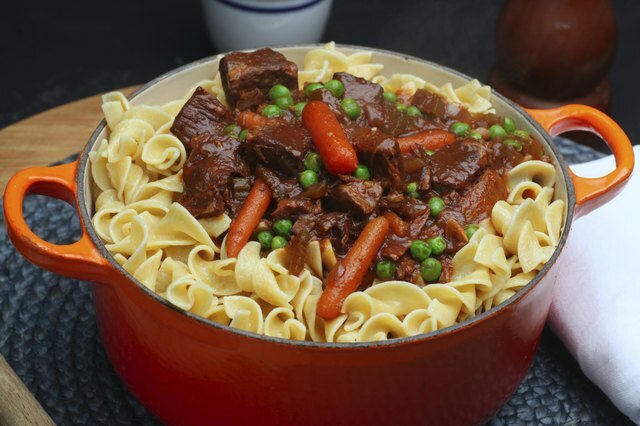 When using your enamelware on the stovetop, preheat it at a low setting to bring the surface to cooking temperatures. Enamelware takes longer to heat than other cookware, so be patient. Add a layer of oil, a few inches of water or uncooked food to the pot prior to preheating. Heating empty enamelware can induce temperatures harmful to the enamel coating. Once enamelware is hot from low heat, you can increase the heat as desired. 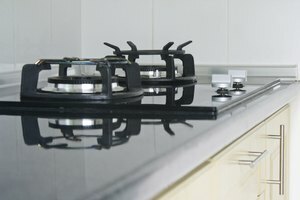 Stovetop cooking with enamelware is useful for frying, sauteing, poaching, searing, stewing, braising and simmering foods. Since enamelware heats evenly and slowly, it requires less stirring than normal cookware. When baking, broiling, braising or roasting in enamelware, always place food in the cookware before transferring it to a preheated oven. Most enamelware is oven-safe up to at least 500 degrees Fahrenheit, but check the manufacturer's care instructions to be sure you do not damage the cookware in the oven. 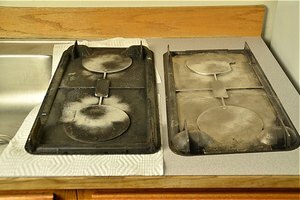 When broiling food in enamelware, preheat the cookware on the stovetop over low, with oil in the pan, before subjecting it to the heat of the broiler. Before cleaning your enamelware, allow it to return to room temperature -- this prevents warping and improves the longevity of your cookware. 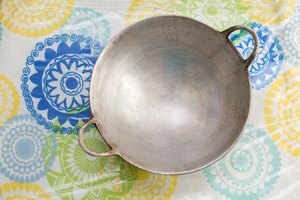 Do not use steel wool or other abrasive items to clean your enamelware. Instead, use a sponge or a plastic pot scrubber with detergent. For stuck-on food, add water to your enamelware and boil it for 30 minutes or until the food scrapes off with a plastic utensil. 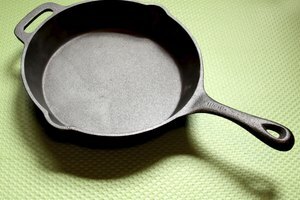 Can a Cast-Iron Skillet Be Used on a Glass-Top Stove?